Here is how to fix Your Shopify blog to get more web traffic. Shopify offers a solid ecommerce solution. With a Shopify blog you aren’t being seen online as much as you SHOULD be. Therefore, you are LOSING MONEY from potential customers. 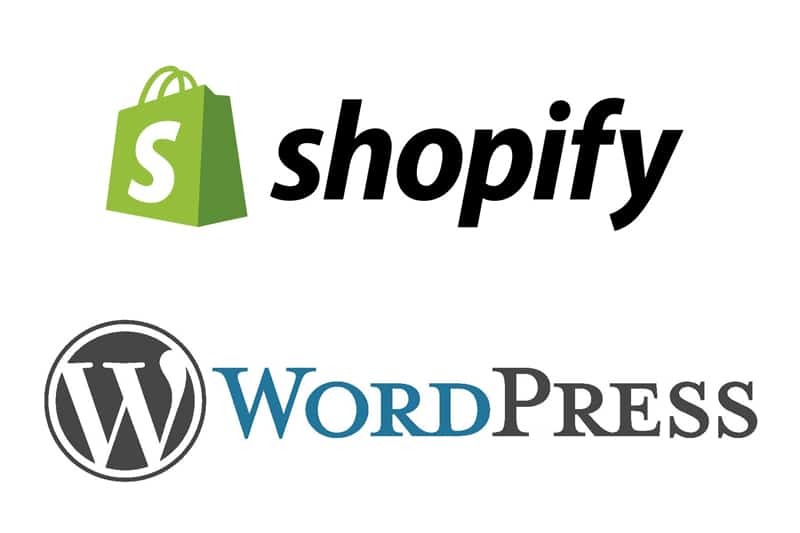 We urge-beg-even cajole all our Shopify clients into using a WordPress subdomain on their Shopify site. You should be getting the revenue being spent on products and services you sell into YOUR pocket, not a competitor’s. Placing fresh content on your site’s blog that includes keywords (terms people search such as “outdoor kitchen contractor dallas”) is the chief way to gain search engine ranking increases. You should have a list of strong keywords on which to write articles. Once you have a solid article written that is beneficial to your customers, it’s time to optimize it so Google will gobble up this content and rank you on that keyword. There are several things wrong with the Shopify blog platform that are essential to SEO that Shopify fails to offer but WordPress has built in. Because of the list below, you should STRONGLY consider using a WordPress blog on your Shopify site to get FOUND on Google. If not, we have a workaround, but it’s a bit ugly. Here are the important differences with as little “tech speak” as possible. Let’s pretend you own an outdoor kitchen building company in the Dallas Fort Worth Area. When you post on the Shopify the link that Shopify generates is bizarre. It places a long strand of unneeded numbers in the URL. This violates every good rule of SEO. The URL should be as streamlined as possible. Google prefers the keywords you are targeting to occur early in the URL. It pushes important keywords farther back in the URL. It includes meaningless terms into the URL, which “confuses” Google. It can cause keywords to be truncated altogether. In contrast, when you post with WordPress blog posts generate URLs that are beautifully attractive to Google and other search engines. An example of a good category might be outdoor-grills. Adding categories would be super easy for the Shopify folks to remedy and it is a bit mind blowing as to why this hasn’t been done. WordPress blogs come default with categories and tags enabled. It is as simple as checking a category box to apply before you post. The name of the game in gaining search results is getting your blog posts linked to and shared on other sites. For our clients, we use a large syndication network. When one of our client’s blogs posts, it shoots out ‘automagically’ to 20+ other sites. This creates huge gains in search. BUT key to this working is to have an attribution link on the post on syndication site. An attribution link occurs at the bottom of each syndicated posts that looks like this. The post Best Grills in Dallas first appeared on Manchester Outdoor. Otherwise, Google can see these posts as duplicate content (copied content)and can apply a rankin penalty for having multiple pages with the same content. It is nearly impossible to place a solid attribution link without a hackathon on Shopify. Because the syndication fires off the moment you publish, and since you can’t know what random numbers Shopify is going to put in front of the URL, it becomes almost impossible to create the first link. Even if you figure out the blog link through some sort of psychic powers , you then have to place that sentence on the actual Shopify blog, publish it and leave it until if fires to the syndication networks, then quickly go back in and pull it off the original Shopify post…a PAIN! WordPress offers a simple plug-in to make this easy. It shoots out an automatic attribution link on every blog you publish. Shopify has no real blog plug-ins to upgrade search engine boosting, keyword frequency, measures alt image tag checkers, and other things needed for good search engine optimization. WordPress has hundreds of thousands of plug-ins to help improve user experience AND get your blog its best for search engine results. One of the best is the Ultimate SEO + plug-in. This plug-in is powerful and highly complex. It typically takes us a half day to optimize all the settings inside its 17 modules, but we are Ulimate SEO + Bootcamp certified, so we know what we’re doing. Do NOT use the blog inside of Shopify unless you absolutely have to. By absolutely have to, we mean like you or a loved one are under a threat of death if you do not continue using it. The best way forward is to park a WordPress blog as a subdomain on your main Shopify site. Ideally you will skin the blog to look exactly like your full Shopify site with ALL the same navigation functions on the blog as on your full shopify site. In this way your users won’t realize they are jumping domains. While the initial set-up is not for the faint of heart (you’ll need a knowledgeable designer/coder to blend the WordPress and Shopify—we have deep experience with this project), once it is establish keeping your WordPress site up to date is SUPER EASY (literally one or two clicks) and posting new content is also a breeze. Many of you know we are huge fans of the power of a new SEO plug-in that is outperforming YOAST in many ways. While there is a steep learning curve to get it set-up, the Ultimate SEO + plugin is offering us super-powerful ways to build silos that don’t bleed, build interlinks between posts inside a single silo for semantic relevance and interconnection, along with some pretty other incredible things like daisy chaining posts together so the search engines see the posts as one continuous article in terms of keyword ranking (long form 7,000+ word articles are currently crushing it in SEO but now you can break the writing of it into pieces and get the same SERP benefits). None of this is possible in Shopify. Yet, Shopify’s SEO capabilities tend to live back in about 2001. Still no blog categories or any of the other things needed for great content marketing. So it’s still wise to use the subdomain strategy. What we’ve found actually works best in recent testing is to put all the pages and posts on the main domain (example: mydomain.com) and put the shop on the sub-domain (example: shop.mydomain.com). While it can be done the other way if you already have you shopify store on the main domain with success, the juice flowing to the sub-domain works better in our testing. With this strategy, you can have all the benefits of WordPress for user ease, SEO raw horsepower, and incredible plugins and other SEO tactics while having the reliability of Shopify for your e-commerce. We are still helping people with this strategy. Reach out, as we’d be glad to help you.